Men’s Club is now registering new members! Learn more about the Men’s Club below and then register here. Essentially, we are here to do things useful to the parish, to support other organizations in our parish and/or community, and to have a little fun and fellowship in the process. As men of St. Francis of Assisi we are committed to living the Mission of the Parish. We are committed to encouraging all men of the parish to work together in making St. Francis a strong faith community and enhance each man’s relationship with the parish. We are committed to giving our time, talents, skills, and experiences to all of our parishioners. We are committed to sharing, supporting, and being a community to each other. We reach out to others, particularly those in need, by following the example of St. Francis, with the help of the Holy Spirit. 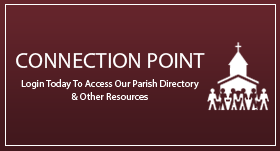 We are committed to providing resources for Boy Scouts, Eagle Scouts, and special needs of the parish. We are committed to supporting annual events that promote faith sharing among the church community, such as, various fundraising events. St. Francis Casino Night continues to be an amazing evening of fun and fellowship with parishioners and many guests. As a fundraiser, it has been a huge success raising over $222,000 for programs that include Mobile Loaves & Fishes, Youth Ministries, and in particular, to help our sister parishes, St. Timothy’s and Immaculate Conception Church. Our 13th Annual Casino Night in June 2018 raised a record $51,000. An institution of St. Francis, the Men’s Club Chicken BBQ occurs 4 times a year, providing delicious chicken to parishioners and raising funds for the Boy Scouts and a myriad of programs and projects throughout the parish. The Men’s Club and the Knights of Columbus Golf Tournaments are enjoyable days on the course and at Topgolf to raise money for college scholarships for the active youth at St. Francis and our sister parishes. The Men’s Club host a monthly Pancake Breakfast on the last Sunday of the month. It is free to attendees, though many generously donate to the event. We earmark any proceeds to a specific St. Francis ministry each month. Sister Parishes—an average of $20,200 per year in the last four years. Mobile Loaves & Fishes—an average of $6,200 per year. St. Francis of Assisi Youth Ministries—an average of $4,600 per year. $1,000 Scholarships—31 scholarships awarded in the last four years (Men’s Club/Knights of Columbus Golf Tournaments). All these positive and helpful activities are fun events accomplished by the men of our parish, and we would like to share this opportunity of fellowship with you. Who can belong? Men of the parish. When do we meet? The second Tuesday of the month. It starts at 6:30 pm, with light snacks and libations, convenes at 7:00 pm. Are meetings mandatory? No. But members are expected to stay connected and help when possible. (Meeting minutes and announcements are e-mailed to all members). How much does it cost? Membership dues are $20, plus you receive a Men’s Club hat (Shirts are available for purchase). How do I join? You may contact one of the officers, listed on this flyer, or complete a registration form at the parish office, or complete the form online. Want to join the Men’s Club? Click on the link below and register today!